I’m always raving about my love for serums, I think it’s a major component to any skincare routine. One part of my routine that I sometime slack on, and need to start focusing more on, is my eye cream game. 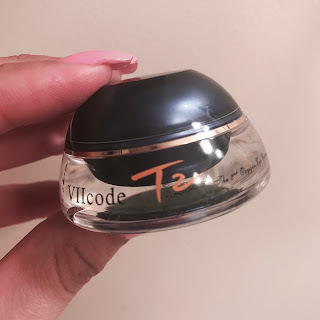 I’ve actually never been eye cream lazier that I was in the beginning of the summer, so when VIIcode reached out to me about their T2 Oxygen Eye Cream, I was too excited…now I’d have to stop slacking and start giving some love and care to my under eye area. One of the main reasons I slack is because I’m #blessed with very little under eye issues. I don’t have circles or lines, and I’m never worried about looking dull. I sometimes forget that this won’t last forever, and I’ll skip an AM or PM eye cream. I was initially unfamiliar with VIIcode, but by the time my T2 Oxygen Eye Cream showed up at my door I had learned a lot. 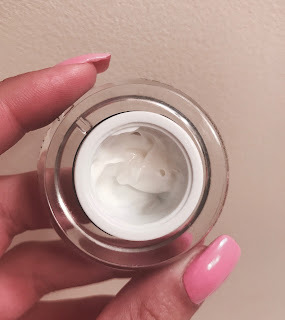 I’ve been using the T2 Oxygen Eye Cream at night, for about a month now, and I’m almost done with the little pot. I traveled to Europe, and it came with me, because I knew I was going to wreck havoc on my skin from long flights to late nights out. I needed something hydrating and healing to deliver some love to my under eye area. I was so pleased with how the T2 Oxygen Eye Cream kept my under eyes hydrated and bright. The thick consistency of this product is what I enjoy most, it prevents you from using too much, and is perfect for PM skincare routines. I mentioned above how pleased I was with the hydration this eye cream delivered, jojoba oil and elderberry work together as the key antioxidant and hydration ingredients. Aside from being intensely hydrating, this eye cream also battles under eye wrinkles with evening primrose . Luckily, I don’t have wrinkles yet in life, but I love using products that help to combat any fine lines and wrinkles. Prevention is key in your 20s. Overall, the consistency and obvious hydration is what made me fall in love with the T2 Oxygen Eye Cream. In order to extend the life of the product I only used at night, I know I would not necessarily purchase this right off the bat, the cost is just too much for an eye cream in my opinion. However, I do think it is a great product, and if you’re going to spend this type of money on an eye cream, make it your nightly eye cream so that you can use it longer.